As announced back in January Angry Birds has today arrived on Facebook, enabling you to now enjoy a little gaming on the social network. As you can imagine the new addition to Facebook incorporates the same gaming style Angry Bird fans enjoy. Together with some additional features added to bring a more social gaming experience to the popular game. Watch the trailer for the new Facebook Angry Birds game after the jump. Rovio the developers of the Angry Birds game was founded back in 2003 and its popular Angry Birds game has been downloaded 700 million times since its release in December 2009. Rovio Entertainment Ltd is now looking to maybe go public this year and is estimated to be worth a cool $1 billion, according to CMO Peter Vesterbacka. 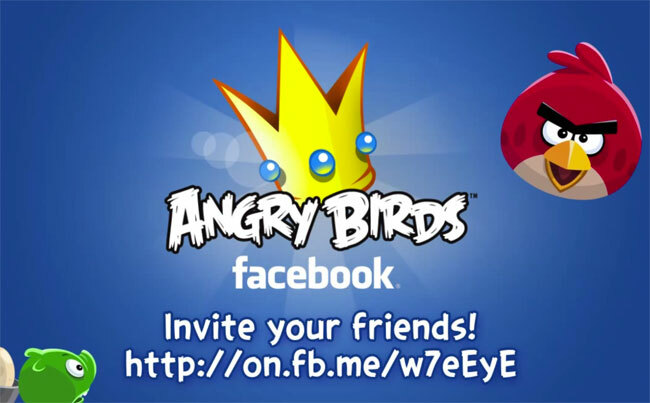 If you fancy giving Angry Birds a go on Facebook you can start playing by clicking here. Enjoy!